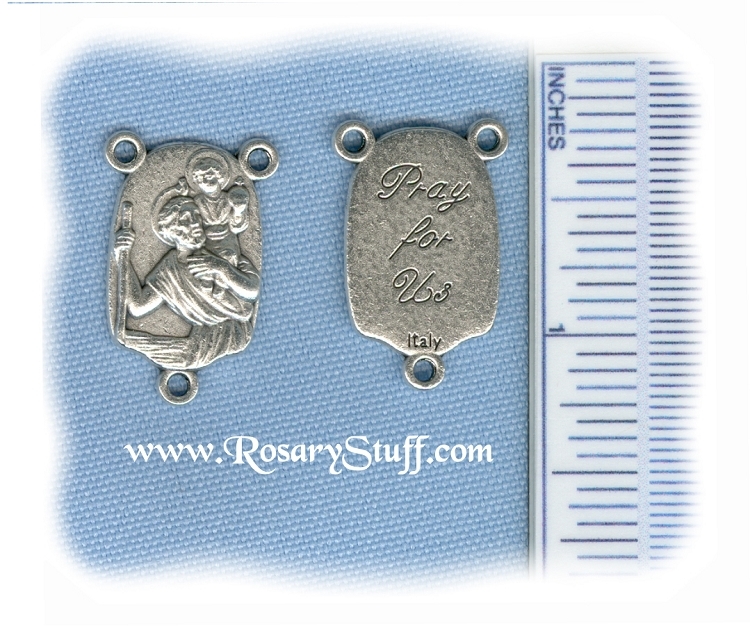 Italian silver plate St. Christopher rosary center with the words "Pray for Us" on the back. Click HERE for more information about St. Chritpher and his patronage. This centerpiece is 7/8 inch tall by 5/8 inch wide not including the rings.